At the 2011 Sakura Days Japan Fair money was raised in order to show our solidarity with those affected by the Japanese earthquake and tsunami. 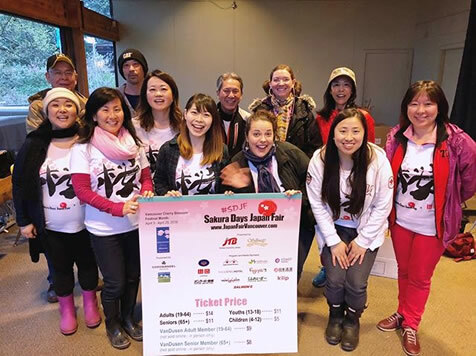 The Sakura Days Japan Fair Organizing Committee donated a total of $29,033.88 to the Japanese Red Cross by way of the Consulate General of Japan at Vancouver. 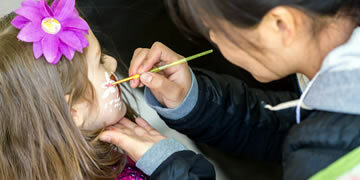 In addition to the profits from the event, many vendors, performers, partners, volunteers and attendees kindly donated. 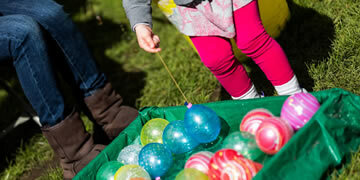 Thank you very much to everyone for their very generous donations. 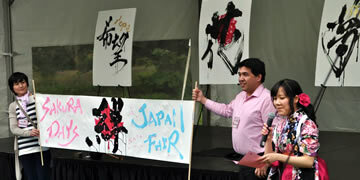 Who is organizing Sakura Days Japan Fair? 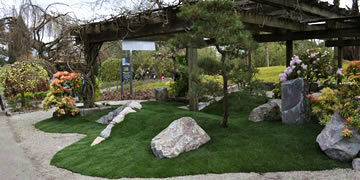 -	It is presented by the Japan Fair Association of Vancouver (JFAV) (www.JapanFairVancouver.com) as part of the Vancouver Cherry Blossom Festival Month with the support of the VanDusen Botanical Garden. 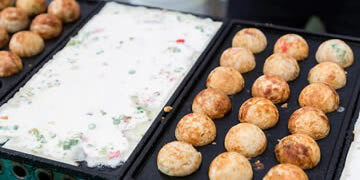 -	Sakura Days Japan Fair (SDJF) is a family-friendly, two-day Japanese festival held at the spectacular VanDusen Botanical Gardens. 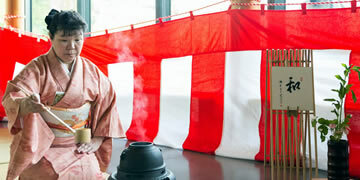 -	The festival showcases Japanese cultural and performing arts, cuisine and businesses. 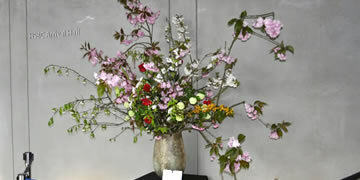 At the 2012 Sakura Days Japan Fair we collected donations for the Fukushima University Disaster Volunteer Center. 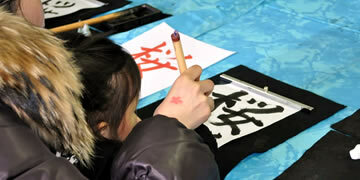 This Center provides support and disaster relief to evacuees of the Great East Japan Earthquake. 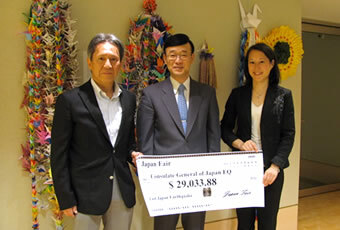 We sent $1146.60 to the Fukushima University Disaster Volunteer Center to help them with their volunteer work. We would like to thank all of the people who donated to this cause. 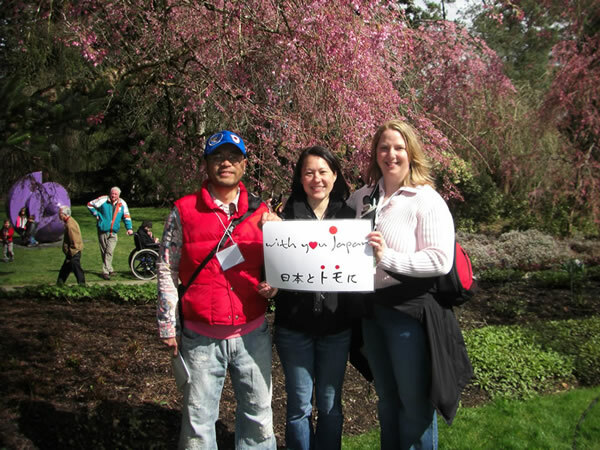 As a follow up to our 2011 "With You Japan" photo project, at the 2012 Sakura Days Japan Fair we asked visitors to write messages of encouragement to Japan on two large poster board banners. 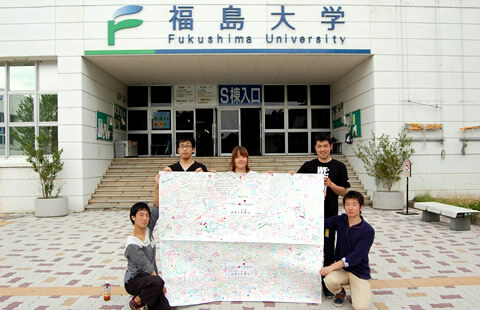 We brought this poster to Fukushima University.